The NEXTorr® - StarCell® pump is a new model in the NEXTorr pump family, combining the sintered NEG technology by SAES with the highly reputed StarCell ION pump by Agilent Technologies. A getter cartridge acts as the main UHV pump, featuring 500 or 1000 l/s speed for H2, while a custom compact 20 l/s StarCell Sputter ION Pump (SIP) removes inert gases, not pumped by the NEG. 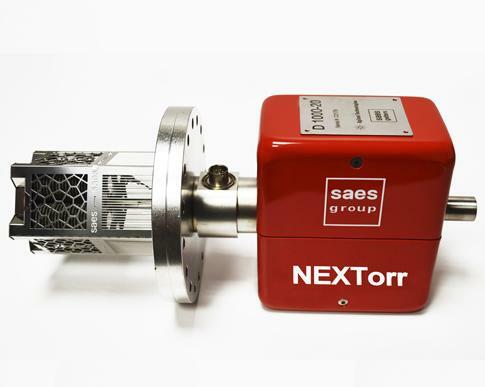 NEXTorr - StarCell delivers an excellent performance combination for getterable gases, noble gas species, and methane. HOW TO SELECT YOUR NEG PUMP? Click HERE.